Posted on 11/09/2015 in Game Recaps. The Potomac Exiles’ D1 and D3 squads were split this weekend, but both won in similar fashion on a sloppy Saturday. West Potomac bounced back just five minutes after to jump on top, 8-7 before prop Dalonte Taylor scored, with Townes converting to put the Exiles on top 14-8 at 22′. Center Rob Black, making his back line debut, extended the lead with a converted try, 21-8 heading into the halftime break. West Potomac jumped back into the game just two minutes into the second half with a converted score to close the gap to 21-15. The hosts really made things interesting at 78′ with an unconverted try to make the game 21-20. However, 8-man Cesar Diaz closed the door with a last-minute try to seal the Potomac Exiles’ victory, 26-20. 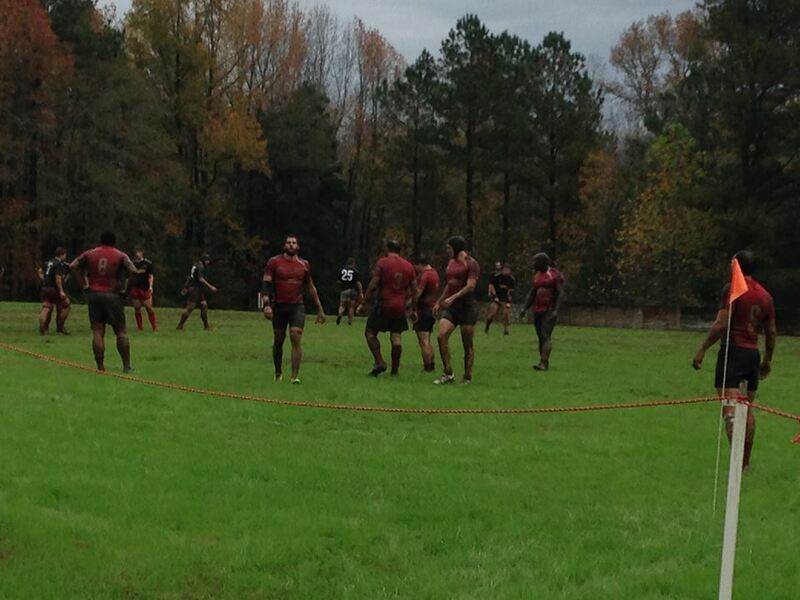 Constant rain up until about an hour before kickoff made for a mud-fest of a game for the Potomac Exiles down in Raleigh. With one sub and four players either making their first D1 starts or starting at a new position, the visitors had to dig deep for this one, and used a simplified game plan and tactical kicking to their advantage. Flanker Alex Diegel got the scoring started with a “hammer” ball from scrum half Matt Quigley. Quigley converted, as the Exiles played with an early lead for the first time this season. Playing loose and aggressively, Potomac extended their lead to 14-0 with a score from flanker Amin Azizi and a tough conversion from Quigs. With strong defense and smart play, Potomac dominated possession in the first half, but surrendered a score with a well-executed kick and chase late in the first half. That score would hold, 14-7 into the break. Lock Ben Wiedemer punched in the first score of the second period to put victory within Potomac’s grasp. A great pop kick from Quigley was dotted down by Azizi to extend Potomac’s lead to 26-7 with about 20 to go. Raleigh’s fresh legs gave them new life, however, as things got interesting late. The hosts scored at 65′ and 70,’ but missed both conversions to keep it a two possession game. Maintaining possession and trying to get within one score for the bonus point loss, Raleigh stupidly stomped a player in the ruck, right in front of the sir to end the game and seal the Potomac Exiles’ victory, 26-17. Shout outs to Allan Stafford, playing strong at 10 in his first start, Kwesi Osei making his debut with crushing tackles and hard runs at center, Quigley with his three assists, and Azizi with two scores in his first start of the year at flanker.